Have you been using DiSC Classic, but would like to move your clients or organization to the Everything DiSC Workplace assessment? Do you want to take advantage of the more robust profile and improved assessment results? Now is the time. If you have completed a DiSC Classic 2.0 or 2 Plus online report you can still migrate to Everything DiSC for less. Since the price of DiSC Classic has increased to match Everything DiSC Workplace, this is an excellent cost-effective option for DiSC Classic users to easily migrate to our more accurate and visually appealing profile. Why upgrade to Everything DiSC Workplace? The Everything DiSC questionnaire uses an adaptive testing method while DiSC Classic uses forced choice ranking. With Everything DiSC your scoring uses eight scales as compared to the four scales with DiSC Classic. Both of these enhancements make Workplace a more precise assessment. The Workplace report is more personal, relevant and has a richer narrative. Your results are displayed on a circle, which is more intuitive and memorable. The shading of the circle better illustrates how we are all D, i, S, C. The Workplace is measured on 8 scales instead of the four on which DiSC Classic relies. Everything DiSC also identifies the priorities each style is likely to embrace. Everything DiSC Workplace is not just about the respondent; it focuses on how the respondent communicates and interacts with those of the same and other styles. 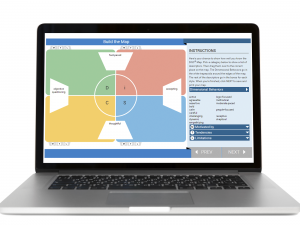 The Everything DiSC collection of profiles offers more facilitator support such as the Supplemental Report and follow-up tools such as the Everything DiSC Workplace Style Guides and Interaction Guides. The most significant benefit are the FREE comparison reports available with Everything DiSC profiles. Anyone who has completed a DiSC Classic profile in your EPIC account can take an Everything DiSC profile at a special reduced cost – only 5 credits for Everything DiSC Workplace. This discount is automatically applied when using the Create a New Report/Issue Access Codes function. Offer runs through October 31, 2018. *Must have a completed DiSC Classic 2.0, 2 Plus or PPSS profile in your EPIC account. These reflect the prices for English language products. Other language credit prices may differ based on the language. Any available language will offer a 10 credit discount through this program. Use the Create a New Report/Issue Access Codes function to create a new report. Select Product Family – Everything DiSC and Product – Everything DiSC Workplace. Proceed as normal to send out an access code until you reach the section where you enter respondent information. While adding Respondents, instead of entering the person’s name and email address, use the Use Existing Report function below. The EPIC credit discount will automatically be applied for eligible DiSC Classic to Everything DiSC Workplace migration. Tips: Select the Use Existing Report tab, then use the Search button to search for and select Respondents with completed profiles. Search for the DiSC Classic records. Make sure Access Code Status is set to Complete. 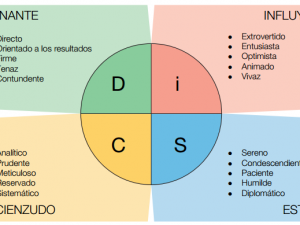 When using a completed DiSC Classic report to create an Everything DiSC report, the Respondent name and email address are carried forward, and the Respondent will be able to take the complete Everything DiSC assessment. Have any questions regarding this exciting program? 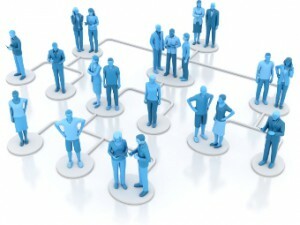 Contact us at www.discprofile.com.